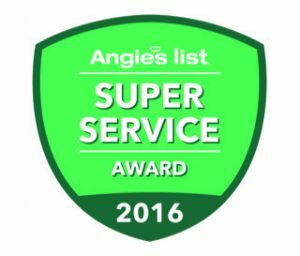 We Move On Demand has been proud to be the recipient of Angie’s List Super Service Award SIX CONSECUTIVE YEARS! Angie’s list reviews come from REAL people like you, not anonymous users. More than 2 million households nationwide check Angie’s List reviews to find the best local service providers such as roofers, plumbers, handymen, mechanics, doctors, and dentists or movers. They collect ratings and reviews on more than 720 different services. The people who join Angie’s List are just like you — real folks looking for a way to find trustworthy companies that perform high-quality work. Angie’s List members submit more than 60,000 reviews every month about the companies they hire. They include incredible details about how the project went (including cost), and grade the company’s response time, price, professionalism, and quality of work — good or bad — on an A to F scale. Angie’s List members will tell you if a crew was conscious of children and pets, cleaned up after themselves or just totally botched the job. Because Angie’s List relies on its members’ experiences, reviews aren’t submitted anonymously. Of course, members’ information is kept confidential on Angie’s List, but reviews are made available to the companies who have been reviewed. Since there are always two sides to every story, companies can respond to reviews, helping to make sure that members get all the information they need to make an informed decisions when looking to hire a service provider. Additionally, members can only report on a service experience once every six months, ensuring no one can “stack the deck” in favor of or against a company. Finally, all reviews submitted by members go through a team of Angie’s List staff who look for any irregularities or red flags. Occasionally, they catch service companies reporting on their own businesses. Those companies are reprimanded and the reports are promptly and permanently removed from the List. 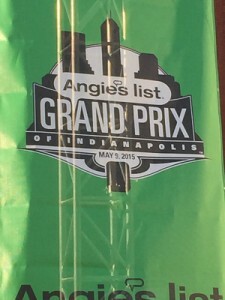 What does What Angie’s List mean to you as a consumer? 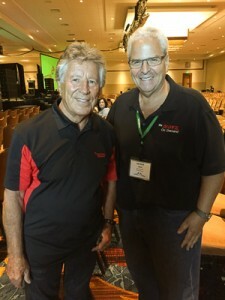 We Move on Demand is the number one mover in the country on Angie’s List for the past 6 years. We have 463 “A” rated reviews, by actual clients expressing their satisfaction. You can feel confident in reading these reviews that the facts are an honest representation of our previous clients. At We Move On Demand our team is always improving our customer service to achieve the highest level of professionalism. We make sure your move goes as smooth and stress-free for you and your family/staff as possible. As for moving experts, our staff is highly trained and experienced to handle any situation to achieve the best results. 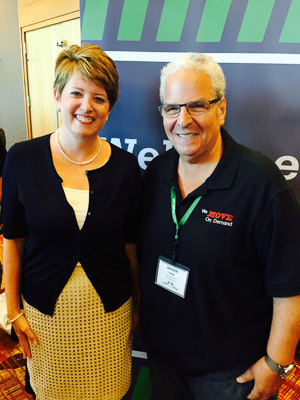 Enjoy some of our recent pictures of us in a learning event at Angie’s List…. These seminars, while fun, is a valuable source of achieving the highest level of customer service.